Flowserve Corporation (NYSE: FLS), a leading provider of flow control products and services for the global infrastructure markets, today announced that its board of directors has elected John L. Garrison, Jr. and Michael C. McMurray as independent directors, effective immediately. With the addition of Garrison and McMurray, the Flowserve board expands to eleven directors. "We are extremely pleased to add John and Michael to Flowserve’s board of directors as they bring extensive experience in global manufacturing industries with many similarities to Flowserve, as well as new thinking that will help support the company’s current transformation efforts,” said Roger Fix, chairman of the Flowserve board of directors. “John brings a strong background in transformational leadership, while Michael has an extensive financial background in the oil and gas industry, both of which will serve us well on the board,” said Scott Rowe, Flowserve president and chief executive officer. “We look forward to their immediate contributions to help support our transformation efforts, global growth strategies and driving increased shareholder value." 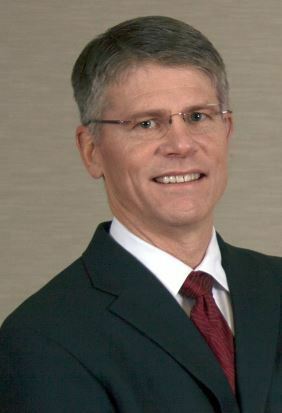 John Garrison, 58, brings more than 25 years of industrial manufacturing experience to the Flowserve board of directors. He has served as the president and chief executive officer of Terex Corporation since 2015 and was appointed chairman of the Terex Board in August 2018. Terex is a publicly-traded global manufacturer of lifting and material processing products with an annual revenue of approximately $4.4 billion and 11,000 employees. Prior to Terex, John was president and chief executive officer of Bell Helicopter, a segment of Textron, Inc.
Michael McMurray, 53, is a seasoned financial executive and is currently serving as senior vice president and chief financial officer of Owens Corning. Owens Corning is a publicly-traded composites and construction materials manufacturer with 19,000 employees in 37 countries and approximately $6.4 billion in annual revenue. Prior to this role, Michael served in the roles of vice president, Investor Relations and treasurer of Owens Corning and vice president, finance of Owens Corning’s Building Materials Group. Prior to joining Owens Corning in 2008, he had over two decades of finance experience at Royal Dutch Shell.